Did you know that with very few exceptions, the insurance claim contractors, you knew, the companies that you remember being in business for a long time, that your insurance company may have referred you to for water damage, fire damage restoration, etc., that you thought were local companies, are no longer local. 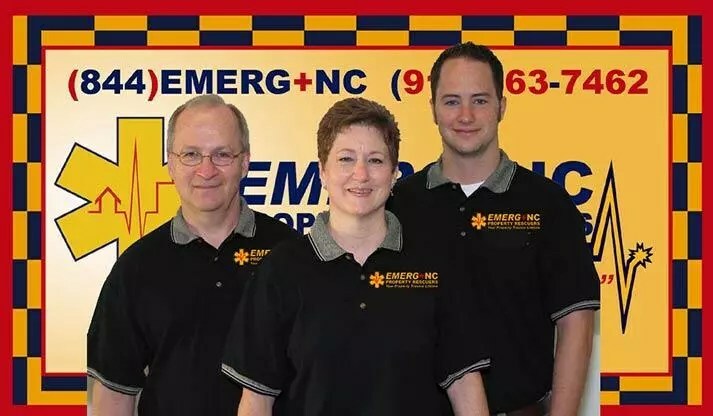 Good local people started these companies, but in recent years sold their home grown businesses with the local North Carolina values we all expect to large national venture capital conglomerates out of the mid-west. 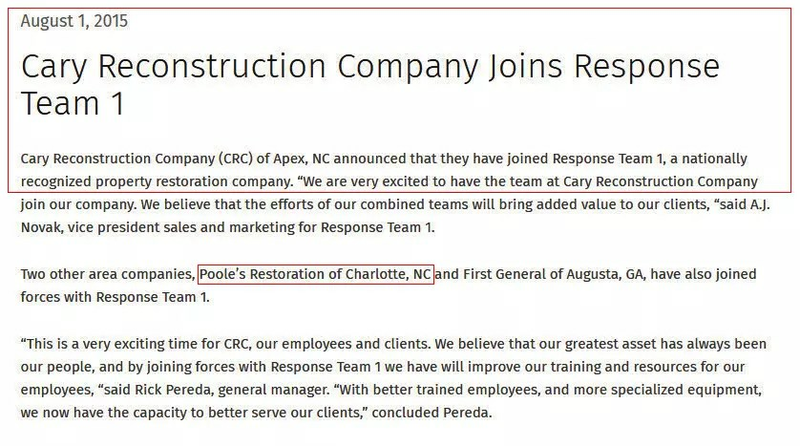 No longer is Emergency Reconstruction of Raleigh actually a NC business. 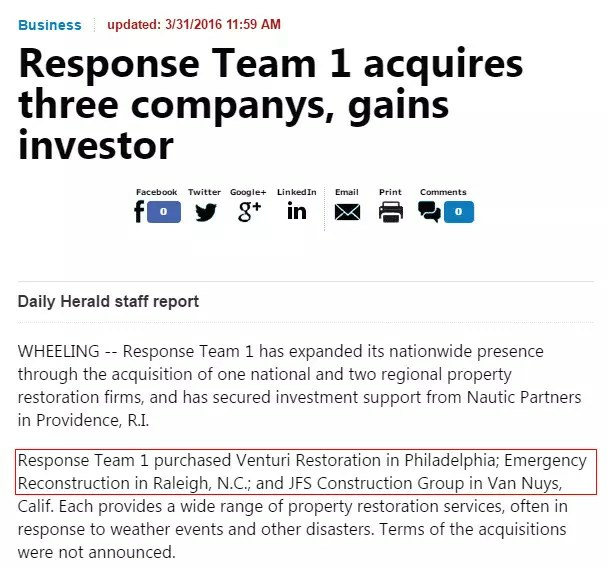 As Many of the Traditional Local Property Damage Restoration Competitors Are Swallowed Up By Huge National Venture Capital Conglomerates… We’ll Greatly Appreciate Your Continued Patronage and We’ll Gladly Return the Maximum Hometown Customer Service Possible! We’ll Take Good Care of You, Because We Live Here Too!